Grand Rapids, MI - Artist Joan Marie Kowal created an entry for the Grand Rapids ArtPrize 2014 competition titled, "Out of the Blue." It is the nation's first physical memorial for victims of fatal dog attacks. 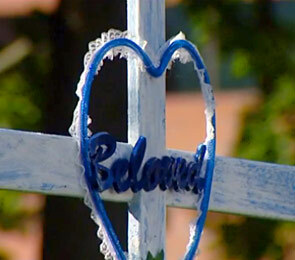 Nearly 30 differently decorated crosses in multiple shades of blue each represent a person killed by a dog. 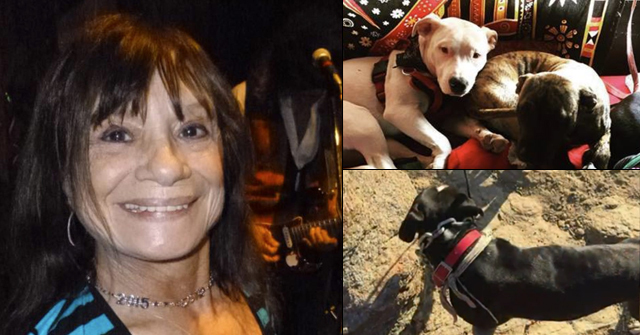 She titled the entry, Out of the Blue, because that is how fatal dog attacks often occur. Kowal hopes to raise awareness about these victims and to prevent future tragedies. 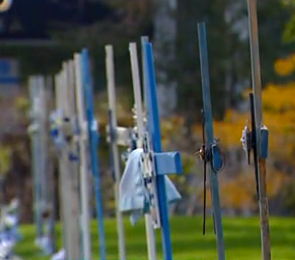 The row of crosses at Calder Plaza represent individuals killed by dogs so far in 2014. 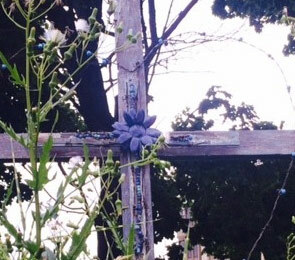 As one might expect, the majority of crosses represent people mauled to death by pit bulls. As of September 26, pit bulls are responsible for 72% of the total recorded fatal dog attacks this year. Last year, pit bulls were responsible for 78%. Two fatal dog mauling victims from Michigan, Craig Sytsma (Metamora Township) and Holden Garrison (Davisburg) are represented in the exhibit. There are 1,537 works of art in this year's ArtPrize contest. The event runs from September 24 to October 12. For 19 days, three square miles of downtown Grand Rapids, Michigan is dedicated to the urban exhibit; the event is free and open to the public. Two grand prizes worth $400,000 and eight category awards worth $160,000 are awarded, half determined by public vote and the other half by a jury of art experts. On the opening day, ArtPrize viewers cast nearly 15,000 votes. View the official website for Out of the Blue, ArtPrize 2014, at CanineVictimsMemorial.com. 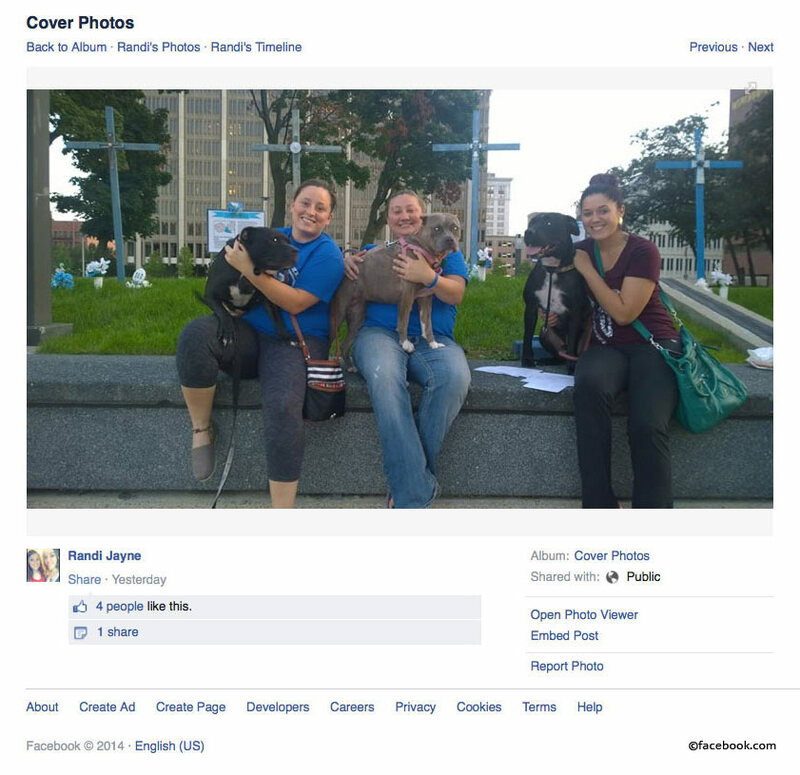 1The photograph of these women "gloating" with their pit bulls at an exhibit honoring victims killed by dogs, many by pit bulls, is extremely disturbing. From left to right in photo, Kent County Animal Control Officer Rachel Jensen, Emily Sanders and Randi Jayne. However, narcipitism, is a well-documented characteristic among pit bull owners. Love the last line : The photograph of these women "gloating" with their pit bulls at the exhibit is extremely disturbing. Narcipitism, however, is a well-documented characteristic amongst pit bull owners. So proud of you for doing this Joan. I really don't know what anyone would protest. 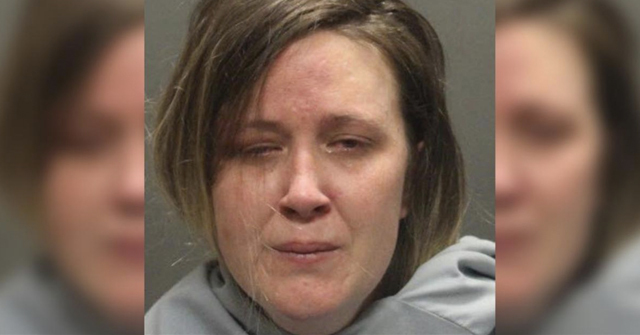 Are these victims dead? Yes. 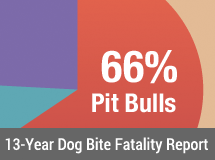 Were the majority of them killed by pit bulls? Yes. Are we just going to sit in a corner with our fingers in our ears and pretend this didn't happen? Can our children at least have the respect that they deserve by at least acknowledging HOW they were killed? I suggest any of the 2013/2014 victims of dog attacks and their families drive to MI this weekend or next and let them know that this art display is a great way to honor their dead. 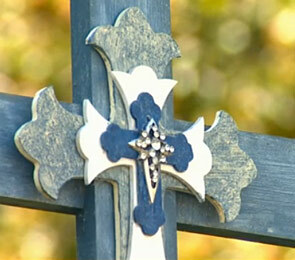 Please take photographs of each cross so that we can see up close your wonderful work. Would love to raise funds to bring your exhibit to Texas, each cross representing a Texan mauled to death by a dangerous dog since 2005. At least 42 crosses will be needed. Thank you for this. We cannot allow the victims to be forgotten. Every way they can be given a voice is a step in the right direction. And, of course, the pit idiots will not even allow us to mourn our dead in peace. Their shrill self-righteousness only draws attention to their lack of respect for victims that died a horrible and needless death. 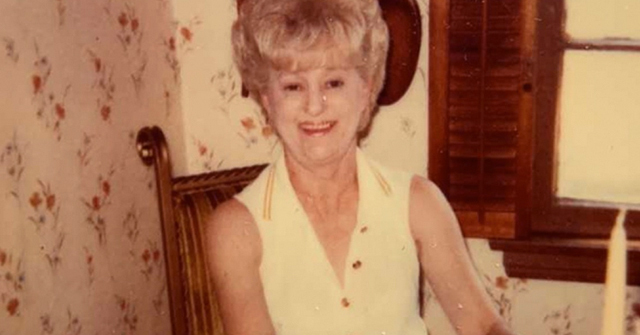 Their presence there is as much of an abomination as Darla Napora's husband burying her killer with her. This is awesome, wow, thanks for making this great art. Only locals or those that can show up to the site can vote, so if you are near, make the trip. Those 3 women, with their game bred maulers, grinning while sitting on the memorial, make me sick. How do they not realize how foolish they look? JFC. I hope this exhibit goes as viral as the AIDS Quilt. Hey Jaloney, better get down there and add another cross for them to protest. DBRF #30 while pit bull owners were protesting dead people.